Can Listening Skills Transform Your Leadership Ability? Can Your Listening Skills Transform Your Leadership Ability? What are you listening for when you talk to your team? Are you looking to have your thoughts and ideas affirmed, or are you open to new ideas? Here’s the way many conversations go in the workplace. See if you recognize any of these scenarios. Your boss, the CEO, is looking for support and buy-in for her ideas. She is dismissive of new ideas and publicly rejects them before they can be adequately explained or considered. You watch as everyone shifts uncomfortably in their chairs in the all-hands meeting when you tentatively bring up another idea. The director of the sales department is dismissive of the ideas that the director of marketing presents for capturing more market share. He’s in a hurry, and he thinks that marketing should be a “print on demand” function for producing brochures and product flyers. He isn’t interested in hearing the strategic insights of someone in marketing. The controller of the accounting department is under a lot of pressure from the CFO to close the books in less time. As the supervisor of the Accounts Payable and Accounts Receivable teams, you mention an idea that would streamline the process and save 1 or 2 days each month. The controller triumphantly points out the flaws, rather than considering which elements of the idea could work. Each scenario mentioned above is based on real-life communication issues. Would you be surprised if I told you that each of these companies has struggled with innovation and talent retention? 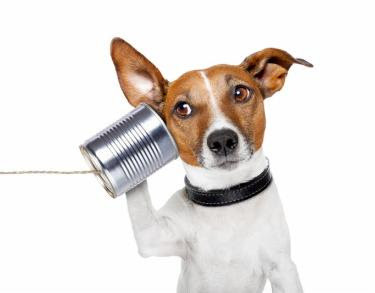 The leaders are not listening, and I’d like to suggest that listening is at least half of the communication puzzle. In a recent article in Inc. magazine, LinkedIn CEO Jeff Weiner said that communication skills are the number one skill gap in the workplace. What can be done to address this most elemental and critical skill gap? The first step is to acknowledge that communication mastery is essential to your success. Next, decide that practicing active listening is more effective than merely talking. Do you remember the last time you honestly felt heard and deeply understood? The truth is that most of us experience that infrequently. This month, my focus is on the Success Factor of “Communication Mastery.” Who are your “influencers” and which books do you recommend for improving communication skills? Chime in and let us know! Click here for a complete list of Success Factors for 2018.